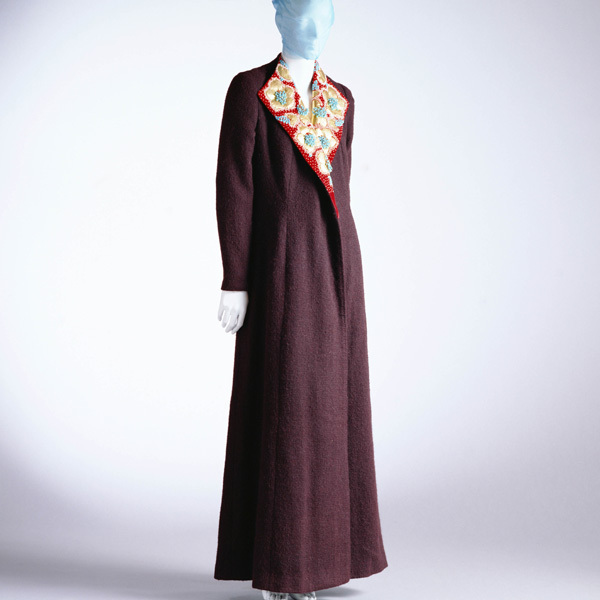 Wine-red plain wool; collar of velvet appliqués with gold leather and beads. 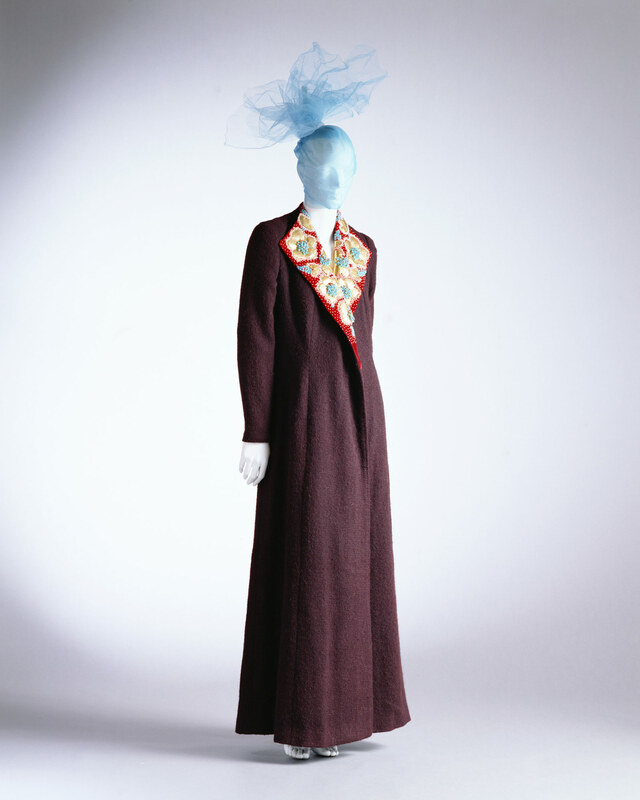 The bead embroidery and three-dimentional appliqué on the lapel stand out impressively on this simple, wool, long coat. 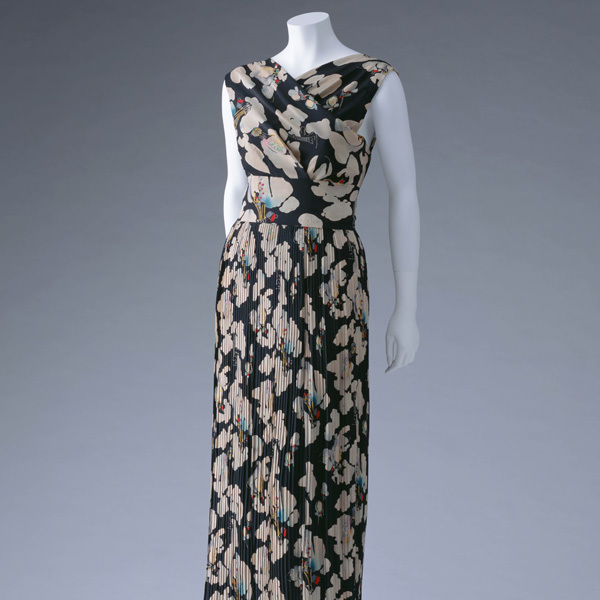 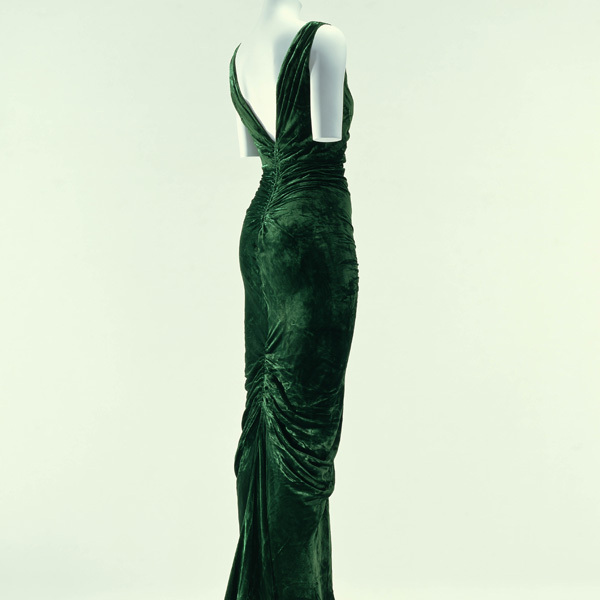 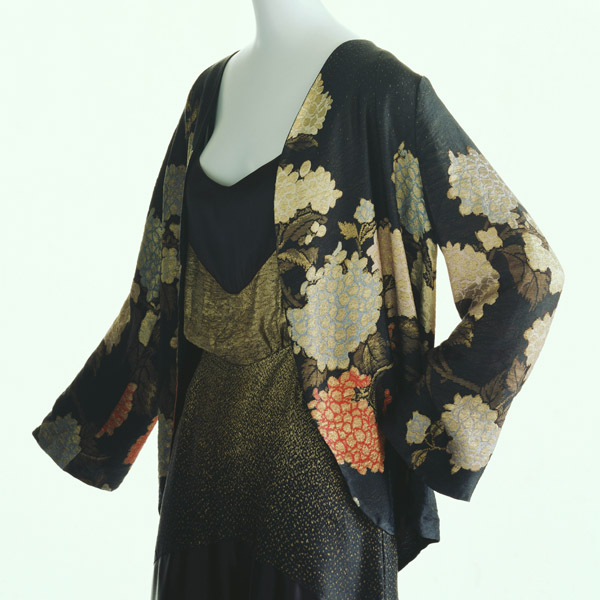 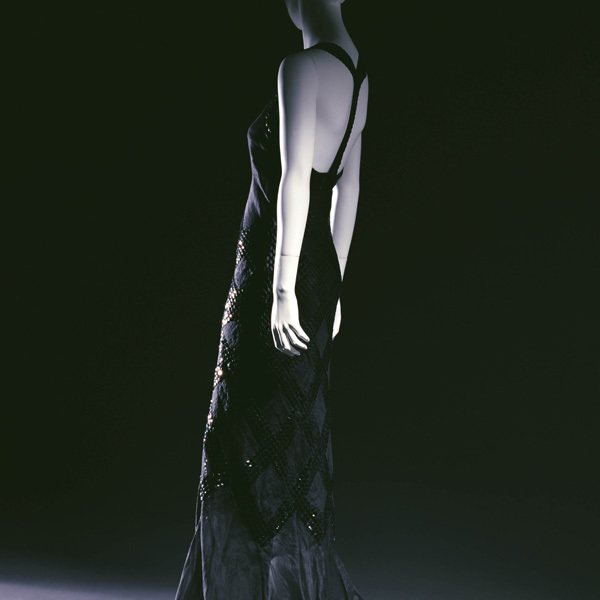 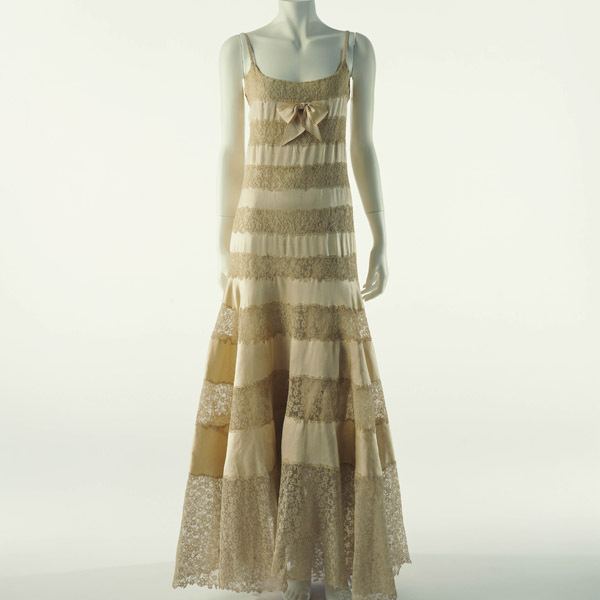 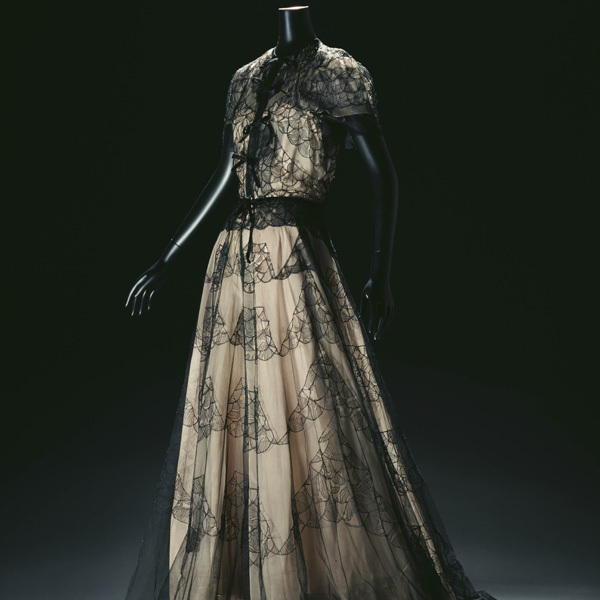 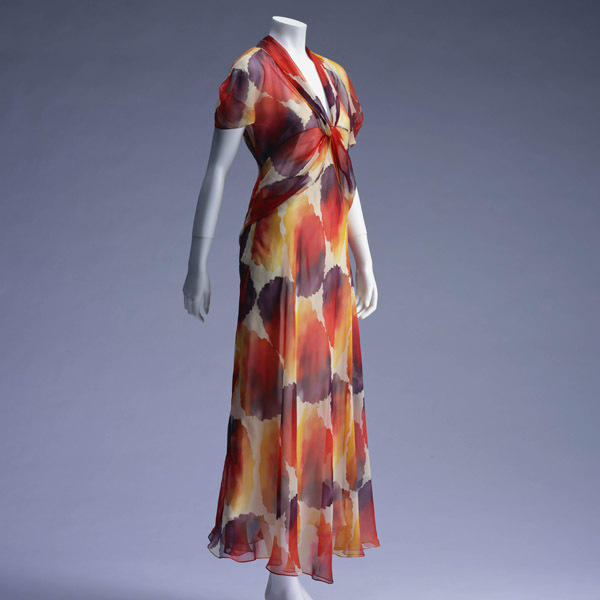 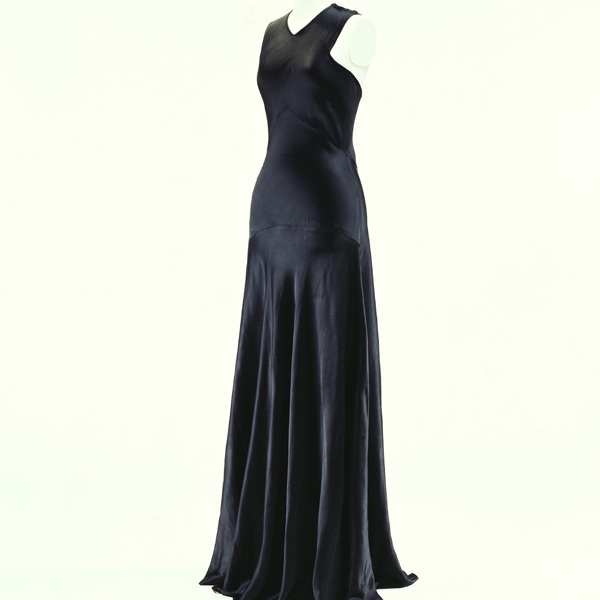 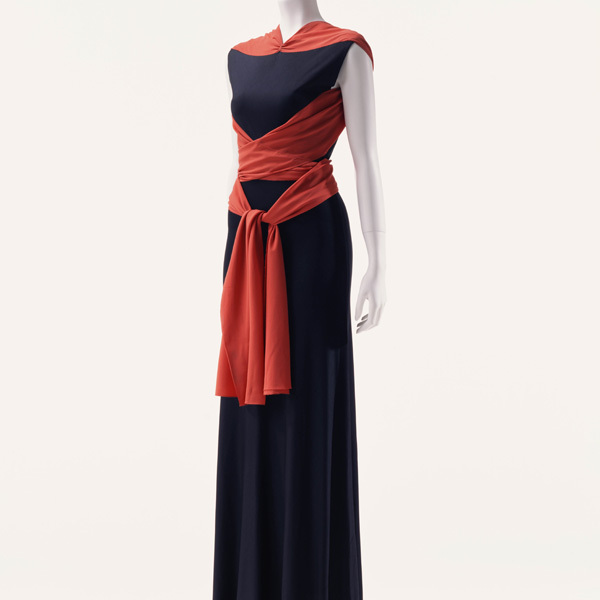 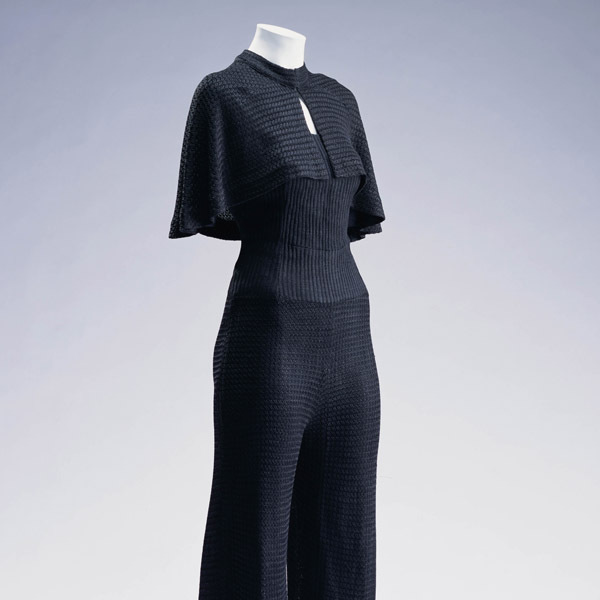 One general feature of Elsa Schiaparelli's work is her innovative embroidery designs. 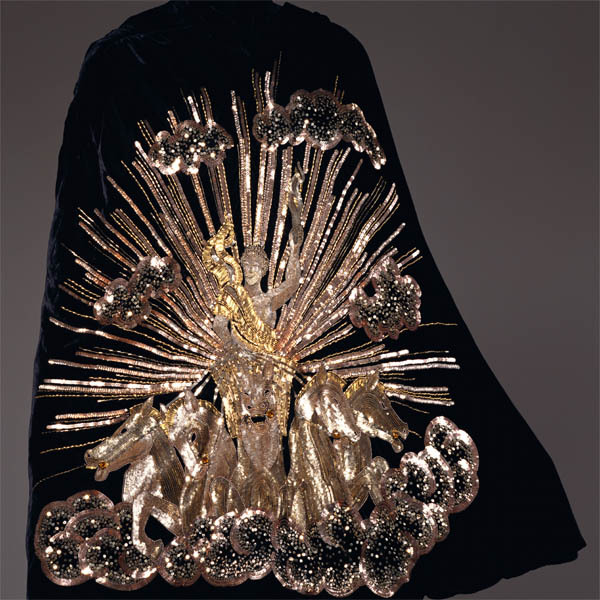 These designs were manufactured by Lesage and other incredibly talented embroidery artisans, and made the wide possibilities of expression embroidery can hold known. 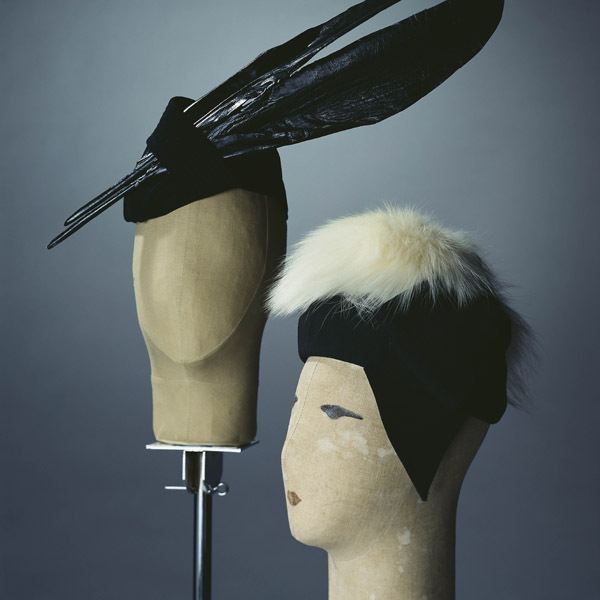 Schiaparelli's works were also drawn by various talented artists of the age. 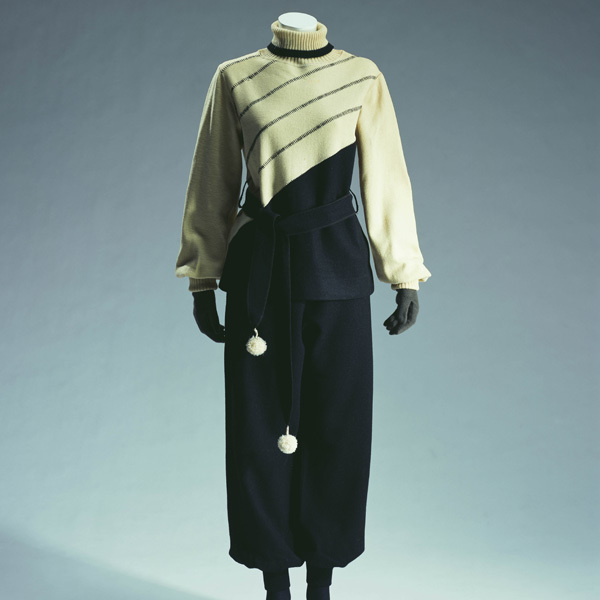 This coat was drawn by Erik (Carl Erickson) in the French "Vogue" in October of 1936.